Are you aware of how fast SUP (stand up paddling) is catching on around the globe? 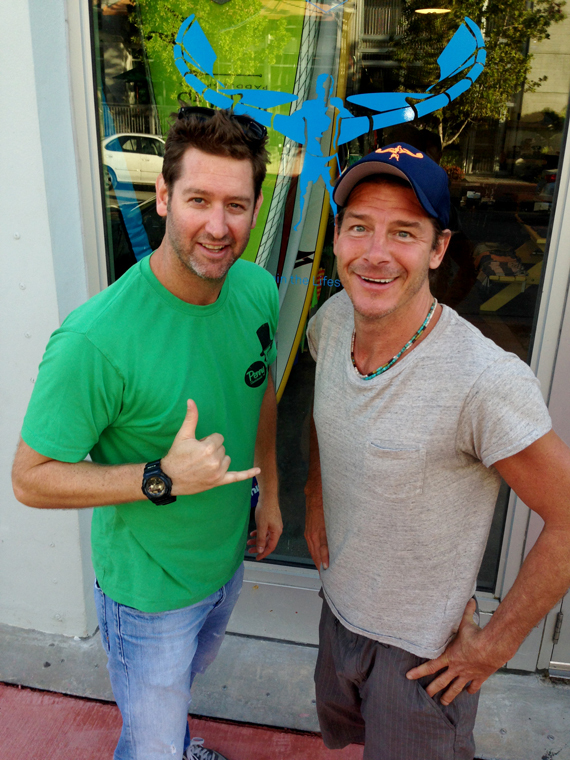 This reinvented sport from an ancient Polynesian canoeing/surfing culture is sweeping across the waters of the world like a wave. 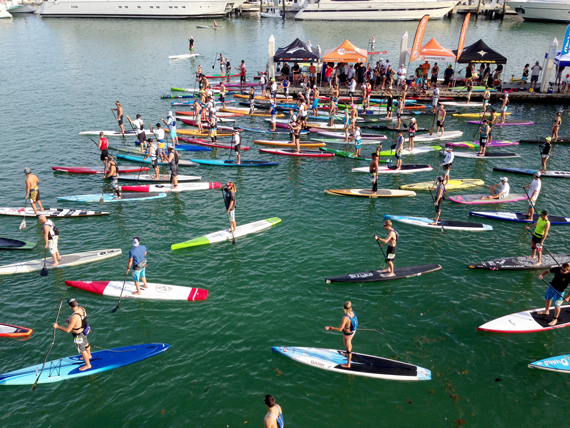 Here SUP boarders prepare at the start line for a 7-mile race around Biscayne Bay in Miami, for the annual Orange Bowl of Paddle held in February. 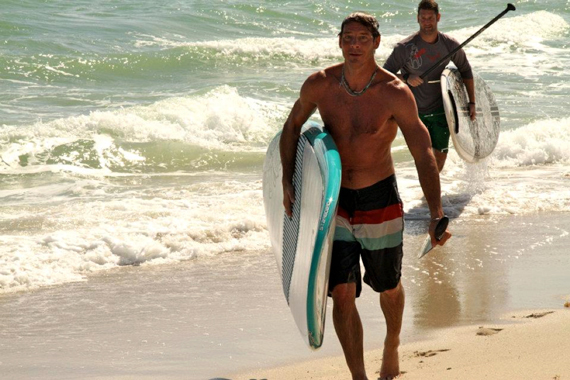 Miami is a great place for SUP year round and TKS has various locations to rent and take lessons from. 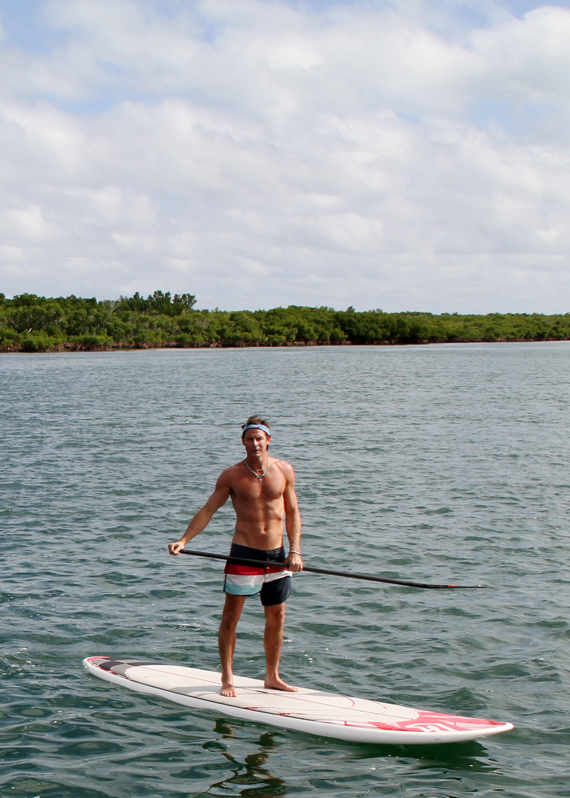 Ty has always been up for adventure and was quick to join us on outings… we have had some great SUP excursions! 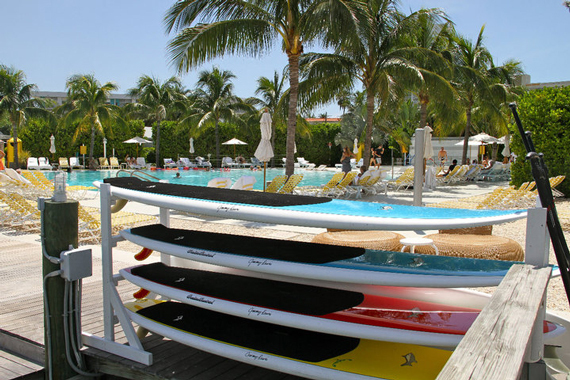 Now the advanced SUP boarder can catch and ride larger waves with ease due to the momentum of the larger board and power of the paddle. 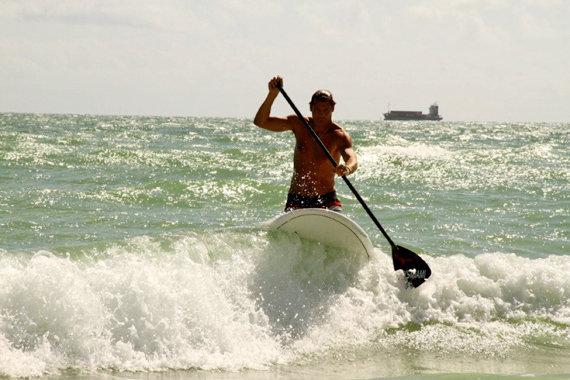 SUP has found the way to rivers as well, because the white water experience provides a different challenge and vantage point than kayaks. 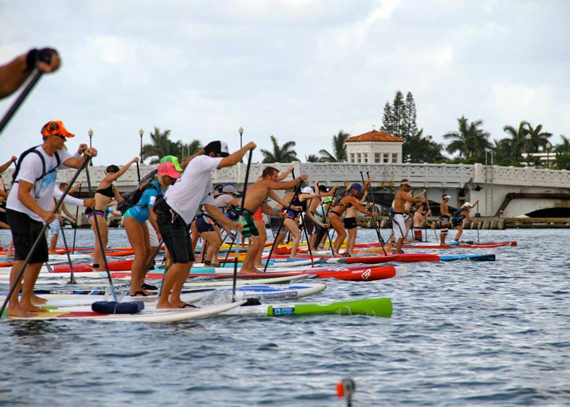 SUP yoga is another recent craze as it elevates dynamic poses to new levels by challenging your balance and engaging your core muscles further. What are some of your favorite water sports? Share them in the comments below!